From pre-historic cave paintings and etchings in tombs to the books printed in abundance today, it is not hyperbolic to say that mythology has played at least a pivotal role in every civilisation throughout the history of the world. It has been said that in dire times, we use mythology as guidance and inspiration for hope. Some of the most popular myths teach us resilience and even the most inconceivable of these from literally thousands of years ago can act as metaphors for situations we find ourselves in today. Mythology, very much by design, has taken on the role of being a source of cultural identity and purpose for as long as we can possibly tell. The small but significant difference between a myth and even the greatest work of fiction is in its inception. Whereas fiction is often totally imaginative and owes nothing to the realm of possibility, mythology is inherently based on or around truth. Myths can indeed be described as fictitious, but the constant thread is that they exist to explain truths. As a technicality, both myths and fictions could also be grouped under the subheading of being lies. But this is disingenuous as it implies some level of deception which is the case for neither. In fact, for the aforementioned role they play, both myths and fiction, especially the former, are generally perceived as positive. But is there a limit to how or when mythology can be utilised? For example, as a coping mechanism? What if, to reduce anxiety or garner curiosity, we created our own myths and in a specific context, to an extent, lied to ourselves about how a certain event happened? This is the role that Lupe Fiasco takes on on his last album, an author of mythology. To explain how and why, we must first go back to the mid-19th century. In 1840, British artist J. M. W. Turner painted a piece called Slavers Throwing Overboard The Dead And Dying - Typhoon Coming On. Nowadays, it is referred to more simply as The Slave Ship. It is the painting which serves as the main image for this piece and can be viewed above. 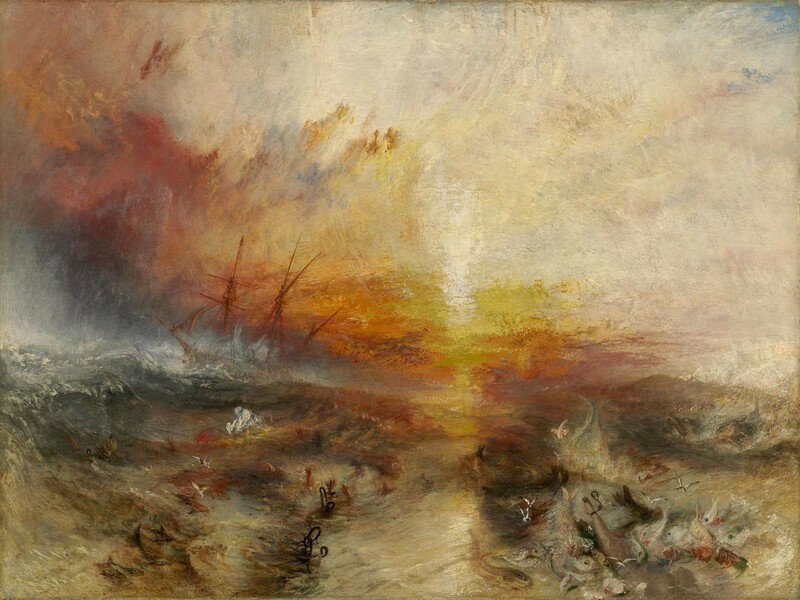 As implied by the leading title, it depicts a slave ship caught in the midst of a typhoon. Its dark colours reflect more than just the gloomy atmosphere that the storm brings. In the boisterous water lie bodies. But they are not just any bodies, nor are they there by accident. They are the bodies of the slaves who moments ago inhabited the ship. Of course, even the most extraordinary piece of still art would struggle to convey that level of historical significance, detail and story. This particular information comes not from the painting, but the true event that inspired it. In 1781, the captain of a slave ship named Zong threw dead and dying slaves into the water in an attempt to claim insurance money which could only be disbursed for slaves “lost at sea”. If it seems like an anomaly, it isn’t. If it sounds like a myth, it’s far from it. It was protocol. It’s the same poem that opens DROGAS WAVE, the first independent LP release from Lupe Fiasco. And it was Turner’s painting that acted as the cover art for four clips which Lupe posted on SoundCloud in 2016; ‘CONVERSATIONS #1‘, ‘CONVERSATIONS #2‘, ‘CONVERSATIONS #3‘ and the deceptively titled ‘Meditations On A New Diasporic Mythology Complex’. The latter is essentially an 8 and a half minute monologue with a title that is complex-seeming enough to turn critics and casual fans away but a warm welcome for who Lupe considers his core - those with a “PhD in Lupeism“, as he cleverly put it. Add that to your phrasebook. In the soundbite, he begins by reminiscing on his adolescence and acknowledging the effect that being raised on Greek and Roman mythology, amongst others, had on him. “Once you’re steeped in kind of that education, that formation, you start to think in those capacities. You start to develop your world views and your outlooks based on those kind of templates, those creation templates.” He goes on to ponder its place in human history and its potential influence on public discourse. When the clip came out, we knew it had some level of significance to DROGAS WAVE but we couldn’t know truly how much until the album finally arrived last September. As it turns out, the album, or at least part of it, takes somewhat of a new stance on J. M. W. Turner’s infamous painting. What if instead of illustrating one of the many miseries of the transatlantic slave trade, it showed the moment before one of the greatest supernatural events of all time? 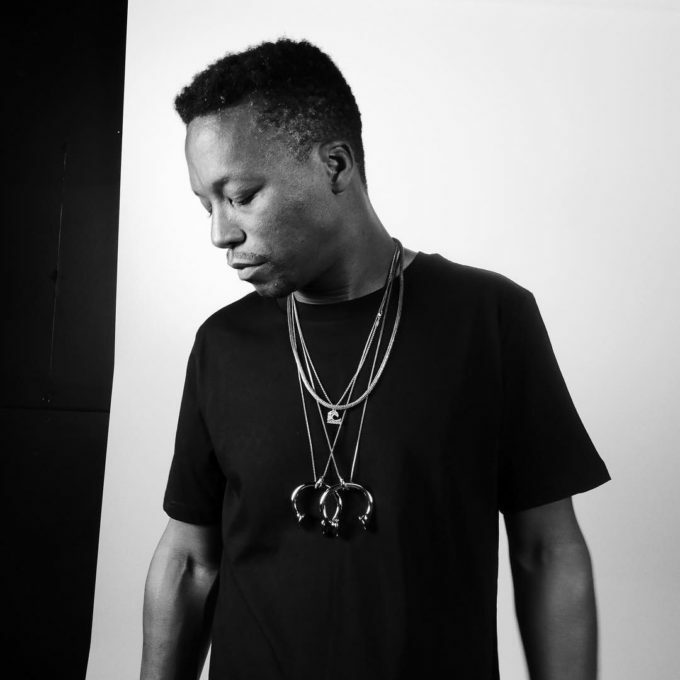 Lupe creates somewhat of an alternate, conceptual universe for the WAVE section of his latest effort, encompassed in tracks 1 to 9. In this universe, the slaves thrown into the water did not meet a dismal death but instead were given new, eternal, purposeful life. Gifted the ability to live and breathe underwater by Poseidon himself, some of the slaves trekked back home to Africa but some stayed in the depths of the ocean with the vengeful intention of using tidal waves to catch and sink any slave ship they came across, thus killing slave masters and adding to their army with former slaves. They are called the LongChains. Contrary to how it may seem, this concept is anything but long-winded and is explained thoroughly and beautifully in one of the album’s many magna opera, ‘WAV Files’. Incredibly, it is one of the few songs on the album that a listener might feel able to grasp on a first listen and is about as blunt as a Lupe Fiasco album cut gets while also being remarkably layered. In its verses, Lupe personifies the stars and the forests and from the perspective of a LongChain, criticises them for allowing slavery to exist. From his view, the constellations helped guide the slave ships to their destinations and the forests allowed for their wood to be used for the ships’ floorboards and doors. In response, the forest offers Lupe a match made from its own wood and tells him to burn it down. It could be argued that these verses are even more ambitious than those on Nas’ ‘I Gave You Power’ but they’re as rewarding, genuinely evoking emotion from the listener who can feel shame and guilt from inanimate objects. 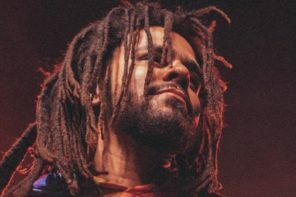 The longest of the song’s four verses is made up almost entirely of the names of slave ships but the delivery makes it one of the highlights of the entire body of work. The story of the LongChains is far from being the only alternate reality which Lupe Fiasco proposes on the album. Another comes in the form of the resurrection of Alan Kurdi and Jonylah Watkins. Alan was a three-year-old whose tale became infamous after a photo of his lifeless body washed up on a beach circulated online and in newspapers. Jonylah was a 6-month-old baby raised in Lupe’s home of Chicago who was murdered on her father’s lap after a gunman opened fire on them. However in Lupe’s world, both of the late children are not only alive and well but seemingly immune to misfortune. Both ‘Alan Forever‘ and ‘Jonylah Forever‘ use fantasy as a brush to paint pictures of hope. They follow the late children as if their lives had not only continued, but flourished with every expectation of them exceeded almost unimaginably. Jonylah becomes a doctor with a free clinic in the hood she grew up in while Alan actually conquers the sea and becomes an Olympic swimmer. The parallel in both cuts is that the protagonists end up saving themselves in the end. These fairy tale-like instances are an example of Lupe not simply inventing scenarios for creativity’s sake, but actually substituting the adverse repercussions of real human life and history and turning them into marvellous achievements. That he is actually shifting the negative to the positive is the key takeaway. In one of his Superfacts episodes from December of 2017, Lupe shared some of his most highly regarded possessions, copper objects called manillas. For centuries, they were used as currency to buy and sell slaves. After learning of their existence and significance, the rapper explained how he began to aggressively collect these objects (and if you are reading this, Lupe, I own an uncirculated okpoho manilla from Duoro which I am willing to part with.) He even made many of his own manillas wrapped in gold to signify hope and the potential of a new future. He takes one with him everywhere he goes, often wearing them around his neck, as a reminder of what was and what could have been. This desire to reclaim history is the same which put manillas on the DROGAS WAVE cover art and gave them their own song on the album. They also play their fair role in the LongChains’ narrative. The underwater inhabitants were efficient in their vengeful nature and used the manillas from the shipwrecks to craft weapons which Lupe describes as “massive whaling hooks connected to long chains and heavy ropes.” With these, they brought down the slave ships. The manilla’s transition from being a representation of brutality to being used rather symbolically to literally dismantle slave ships is yet another illustration of Lupe’s attempt to shift the horrors of the past to a reason for solitude. It is apparent that these ideas command a certain level of attention and discussion and a few attentive listens of the project eventually brought me to the proposition that Lupe penned these verses as a way to cope with such a vile portion of human history. He also alluded to it himself. 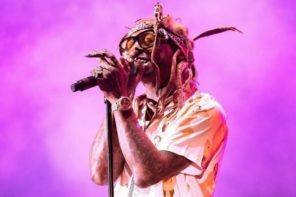 Leading up to the release of the LP, on more than one occasion the rapper spoke of slaves who would kill themselves to escape the horrors of the world they lived in. This was common practice. Apprehensive of giving them peace even in the potential afterlife, their former masters would chop their corpses into pieces. It does not appear far-fetched to suggest that Lupe, well aware of this travesty and countless others from the centuries of transatlantic slavery, formulated the LongChains’ concept to help himself and others to deal with such loss. After all, ignorance is bliss and if there is one thing Lupe Fiasco has proven not to be over the span of his career, it is oblivious. Though highly plausible, there are a myriad of other ambitions Lupe could have envisioned coming to life with this album. It’s not entirely inconceivable that fatigued from years of label pressure and commercial expectations, he yearned for such a complex concept for more selfish reasons. A theme of the album is resurrection and of course, it takes multiple forms. Just one of those is the rebirth of Chicago’s beloved MC as an independent artist for the first time in over a decade, finally free from the shackles he so poetically described on ‘Prisoner 1 & 2‘. But to put this forward as the justification for an album like DROGAS WAVE, not that there are many, is to romanticise its creation from a Hip-Hop standpoint and dumb it down unnecessarily. It’s tough to convince myself that the album is just a product of elite writing for art’s sake. The revolutionary energy of mythology and its potential to be a catalyst for the progression of ideas is far too strong of a force to be ignored. 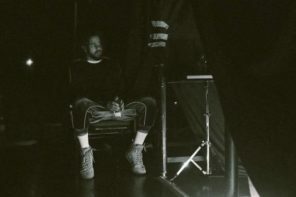 Lupe has previously expressed his thoughts about how art is perceived immediately after its creation versus a long way down the line. It is in our nature to ignore how rare it is for us to be present to witness any given event like the release of music. If the world is looked at on an infinite timeline, the 80 years we spend alive critiquing different types of art and creative pieces is minuscule. The equivalent of an atom in our galaxy. Most of the time that an album is heard might be multiple eras after its formation. Directly after the release of Tetsuo & Youth, Lu spoke of painters whose work was scrutinised and deemed inferior until centuries after the fact when extrenuous, unpredictable factors came into play. When looked at with this scale in the mind, especially knowing that this was considered in the making of DROGAS WAVE, it greatly transforms the focus. Yes, the album is indeed about the past and its tragedies, but it is also very much about the future. Alan Kurdi and Jonylah Watkins are not the only two children on the album. Lupe clarified that ‘King Nas‘ has nothing to do with Queensbridge royalty, though there are nods to him scattered throughout the song. It is actually a dedication to his nephews, King and Nas “as they journey into manhood.” Lupe raps “know the difference between being in love and being horny, being hated, being human, being a teen but being 40”. Children are our future. When they get to an age where they’re ready, I struggle to think of a better method of schooling for King and Nas than pressing play and entering the open world of DROGAS WAVE by uncle Lupe. With the help of supporters, the album can affect forthcoming generations, especially black communities, irreversibly. Imagine the effect it would have if everyone who heard the album shared the story of the LongChains with an infant. If I’m ever looking out at the Atlantic Ocean with my future children, I know I’ll be telling them about the slaves who might still live under the water, ready to fight back. Even on a smaller scale, at its least productive, the mythology concept is a way to amass attention and breed interest in a field in a more diverse method than we have ever known possible. More grand than any ordinary music release, what Lupe Fiasco has created with his latest effort is a breath of fresh air and the opportunity for a new beginning. Wherever they are, I hope Alan and Jonylah are listening.